Protect your indoor air quality with expert acoustic ceiling removal in Walnut CA. Acoustic ceilings installed before the 1970s and asbestos contamination risks go hand in hand. Fortunately, AQHI Inc. can provide professional acoustic ceiling removal in Walnut CA to eliminate the risk and leave your property clean and safe. 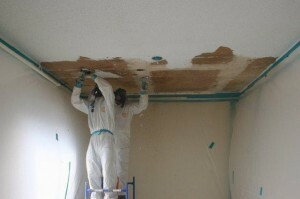 The primary benefit of an acoustic ceiling removal in Walnut CA is preventing fiber release–and asbestos contamination–by removing the source material. However, this is only true if you use the right asbestos removal company. Unfortunately, inexperienced individuals often make contamination worse by using incorrect asbestos removal methods that result in lots of dust being created, and then failing to thoroughly clean the area to remove this dust after work is finished. After over 20 years of experience and thousands of successful projects, AQHI Inc. knows how to provide safe and thorough acoustic ceiling removal in Walnut CA in compliance with all relevant state and federal regulations. We have 5 separate asbestos certifications along with full coverage insurance for your peace of mind. For a quote on acoustic ceiling removal or to learn more about our services and our qualifications, please call us at 800-481-8080. Our asbestos removal office for Acoustic Ceiling Removal in Walnut CA is open Monday through Friday between 8:00 AM and 5:00 PM and closed for lunch from noon to 1:00 PM. With advance notice, projects can be scheduled for weekends, early mornings and evenings.